Today's a little unusual for me. 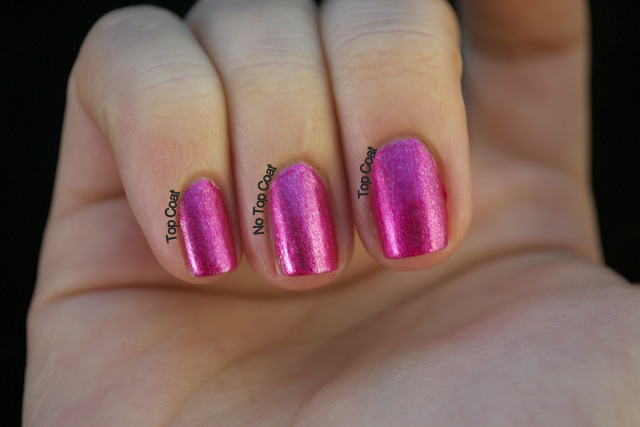 Today is just swatches of the Color Club Foiled collection, including a comparison of using the included top coat and not using the top coat with these colors. You've probably seen it around on other blogs and in stores, so I won't drag out any descriptions. This post is for color comparison, and a bit of stamping testing. Enjoy! This is Hot Like Lava, with and without a top coat. My pinky and middle finger have the included top coat, and the ring finger does not. As you can see, not too much of a difference. These colors do fine without top coats, but for protection of the manicure, I recommend it. 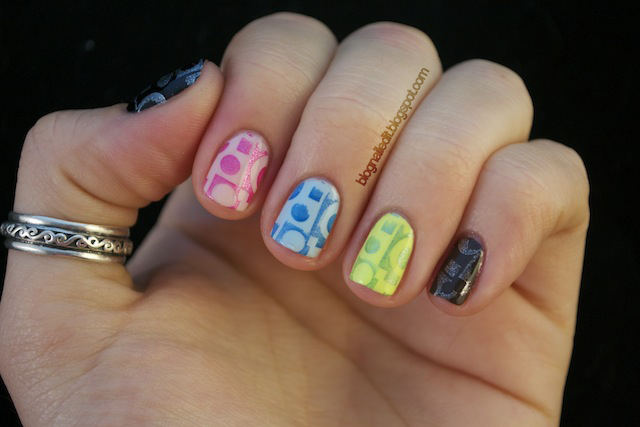 These are GORG and work so well for stamping! I think I need these. Cold Metal is to die for! I want! Of course the other ones are great too. And I love your pictures! I LOVE these colours! 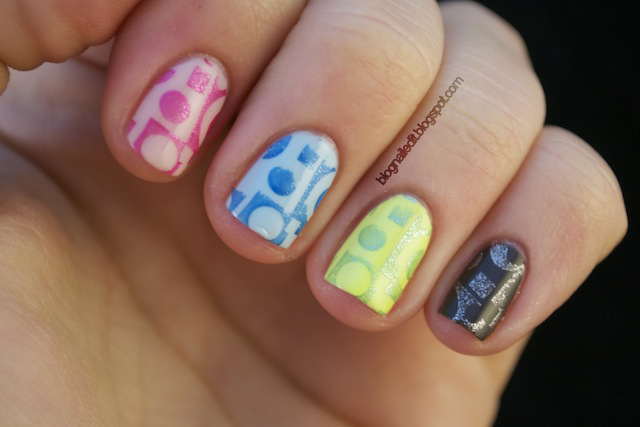 They worked really well with stamping! I bought three of these for stamping and they are awesome for it! If you guys don't already have them, I'm holding a giveaway for them! Check that out here to enter! I wish my stamping turned out even 1/4 as good.